Ocasio-Cortez said that grassroots efforts reflect an increasingly progressive voter base with the power to influence the upcoming midterm elections. 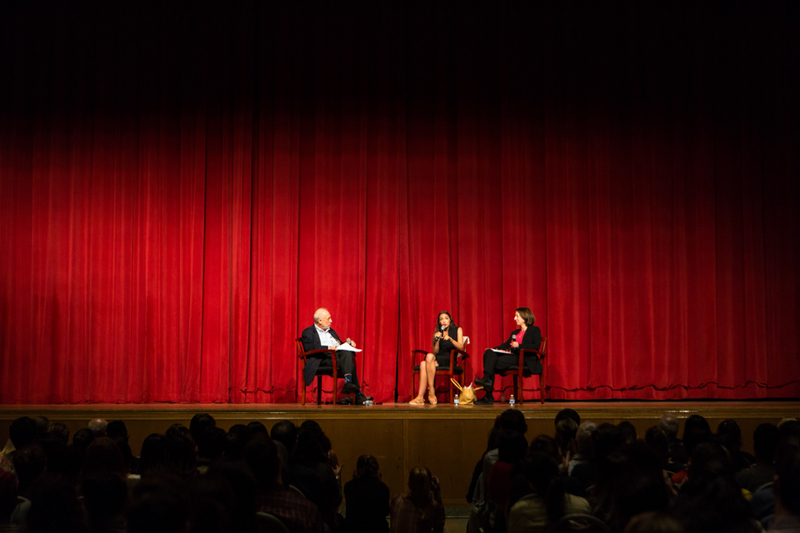 At a panel attended by over 500 people on Monday, Congressional candidate Alexandria Ocasio-Cortez called on Columbia students to register to vote and get involved with local politics. 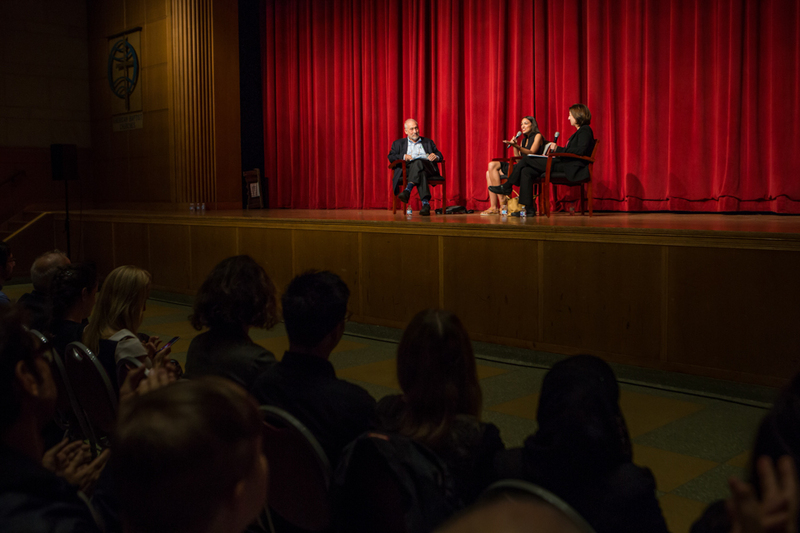 The event was co-hosted by the Columbia University Democrats and the School of International and Public Affairs, and was moderated by Columbia Business School Professor and Nobel Prize-winning economist Joseph Stiglitz and SIPA Director of the Technologies Specialization Anya Schiffrin. The panel was moved from Roone Arledge Auditorium to Riverside Church after University Life officials informed CU Dems late Thursday night that holding the event on campus violated Columbia’s policy on non-partisanship. 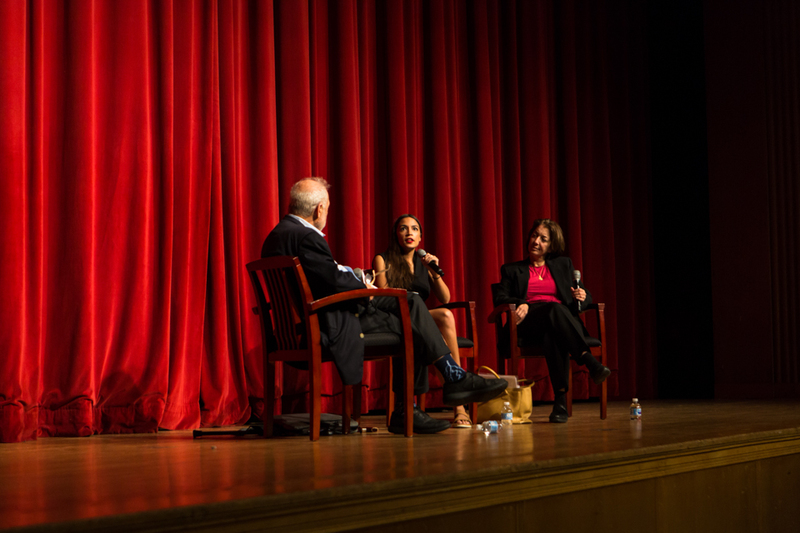 During the conversation, Ocasio-Cortez called attention to local political efforts as a reflection of an increasingly progressive voter base with the power to change the outcome of the midterm elections. She used her own primary victory against Democratic powerhouse Joe Crowley, in New York’s 14th Congressional District, as an example of successful grassroots campaigning. She pointed out that most politicians would not support her stance on abolishing Immigration and Customs Enforcement until after she won the primary. 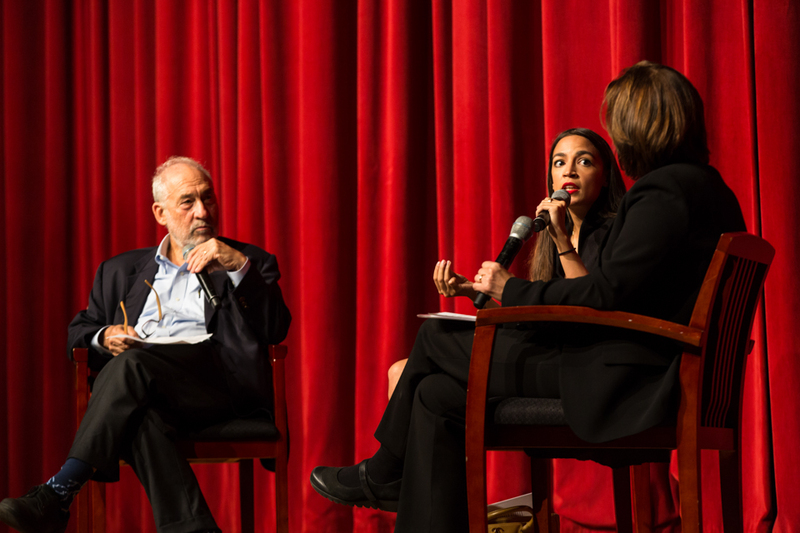 A student associated with the Roosevelt Institute asked Ocasio-Cortez about her thoughts on Barnard’s investment in the Baupost Group, which holds some $911 million in Puerto Rican debt and has called for austerity measures in the area affected by Hurricane Maria. In response, Ocasio-Cortez advised students that the most effective way to enact change at institutions like Columbia or Barnard is to pressure the individuals who hold decision-making power. Ocasio-Cortez also emphasized the importance of engaging with minority groups that Democrats have neglected in the past, saying that if the party does not support marginalized communities, it cannot expect their vote. “Unless we consciously communicate that we are changing course, with a renewed commitment to these communities, I don’t think we can just expect them to turn out,” she said. 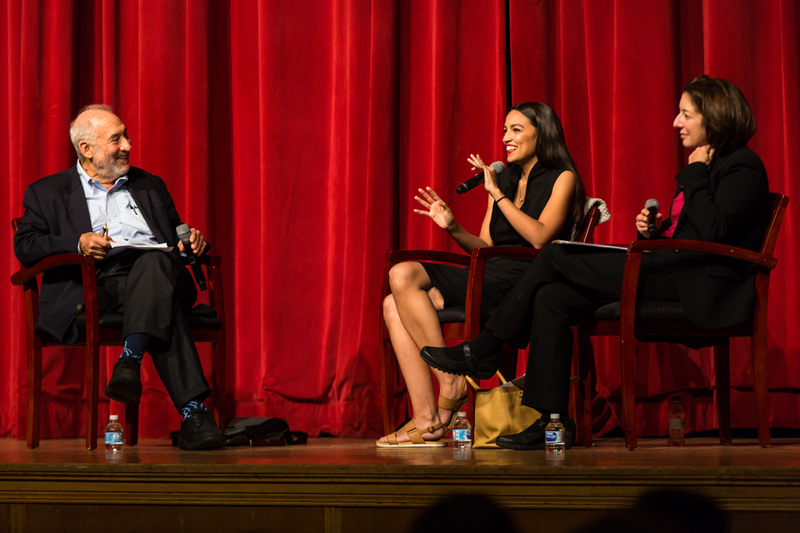 Ocasio-Cortez encouraged students to get involved in grassroots activism, stressing the impact that students can have. Students were able to register to vote and sign up for canvassing opportunities after the event with CU Dems. Schiffrin questioned Ocasio-Cortez about the new allegations of sexual assault leveled against Supreme Court nominee Brett Kavanaugh. Ocasio-Cortez condemned the Republican officials who pushed for a confirmation hearing, despite knowing about Kavanaugh’s accusers. “A sexual assault allegation does not kill a career but accelerates it,” Ocasio-Cortez said. “I hope that at some point, it keeps them up at night. I really do … it’s beyond politics."